For years my family and I have lived in a small apartment in the city so we didn’t get to see much of the outdoors. This year we finally moved into our dream home. One of the reasons that we chose the house was that it had a beautiful spacious garden; something that I felt my wife and kids had been missing out on. After we moved in I decided that we needed some outdoor furniture so that we could enjoy our new surroundings properly. 2 TO BUY OR NOT TO BUY? I didn’t want ugly plastic furniture for our new space. I wanted seating would blend in, look attractive and provide comfort. 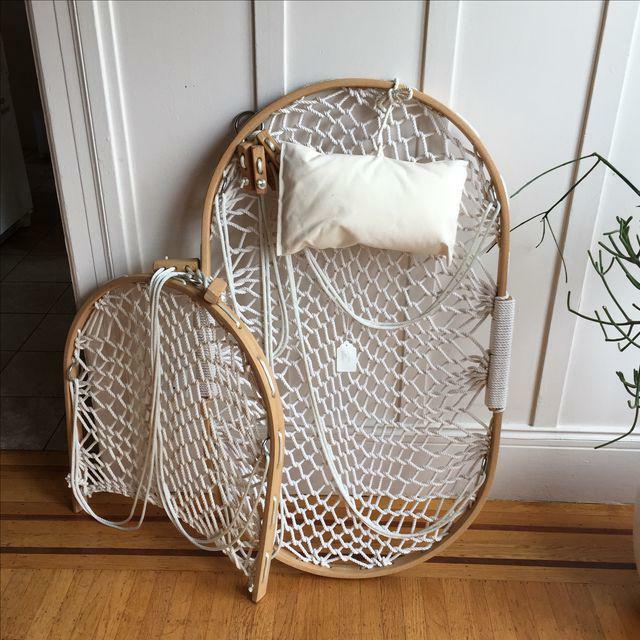 We have plenty of trees in our yard so I started looking at hammocks and hanging chairs. 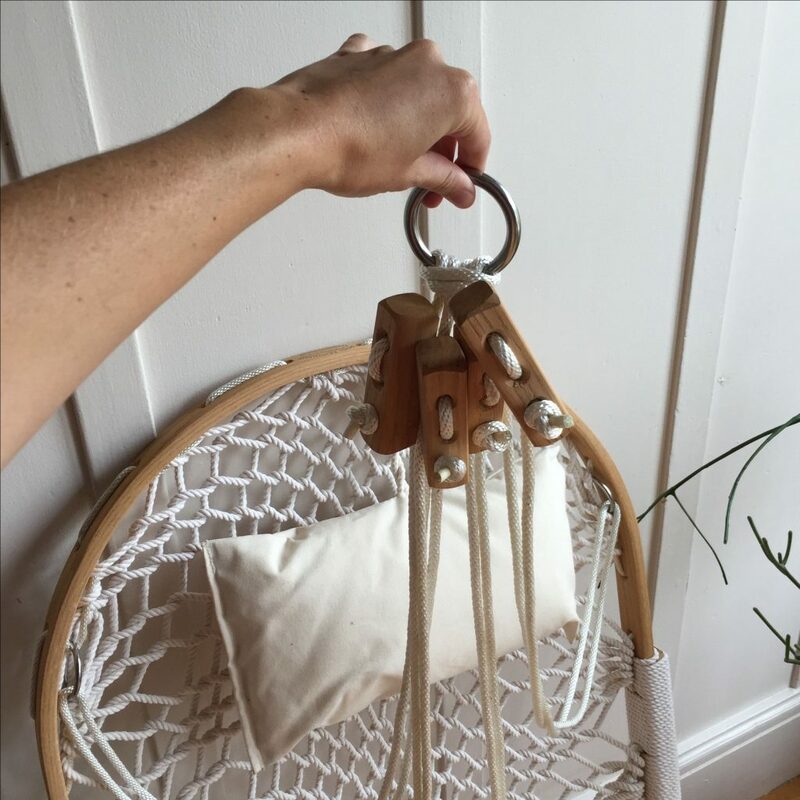 I eventually settled on two of the Bent Oak rope chairs from Cobble Mountain and I don’t think I could have made a better choice! Our new chairs are roomy and each measure 51x43x5 inches and can carry up to 240lbs. 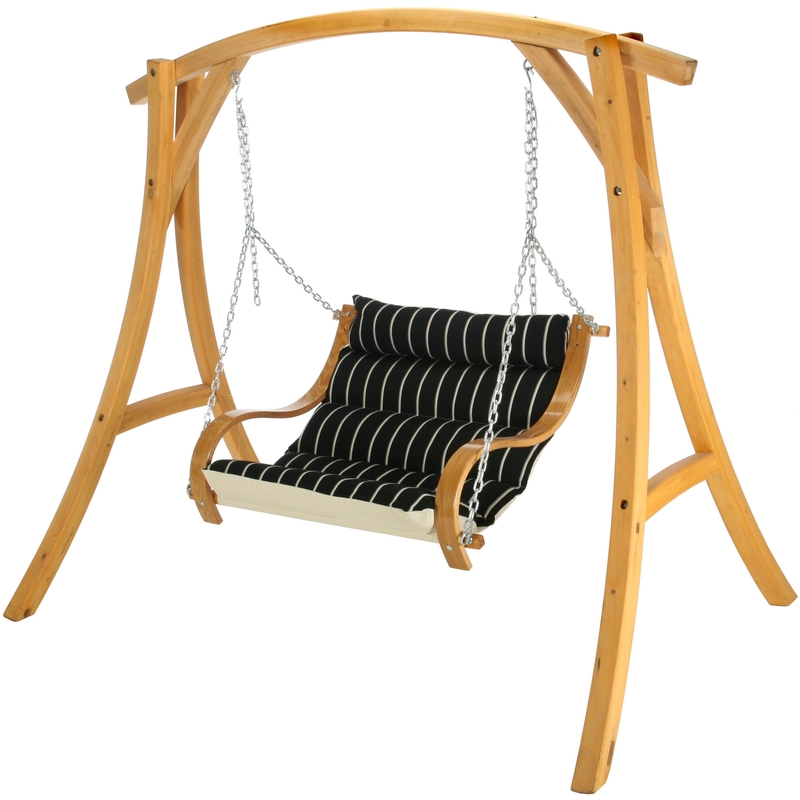 The frame and supports are made from sturdy oak wood and the durable poly cotton blend rope comes in white. 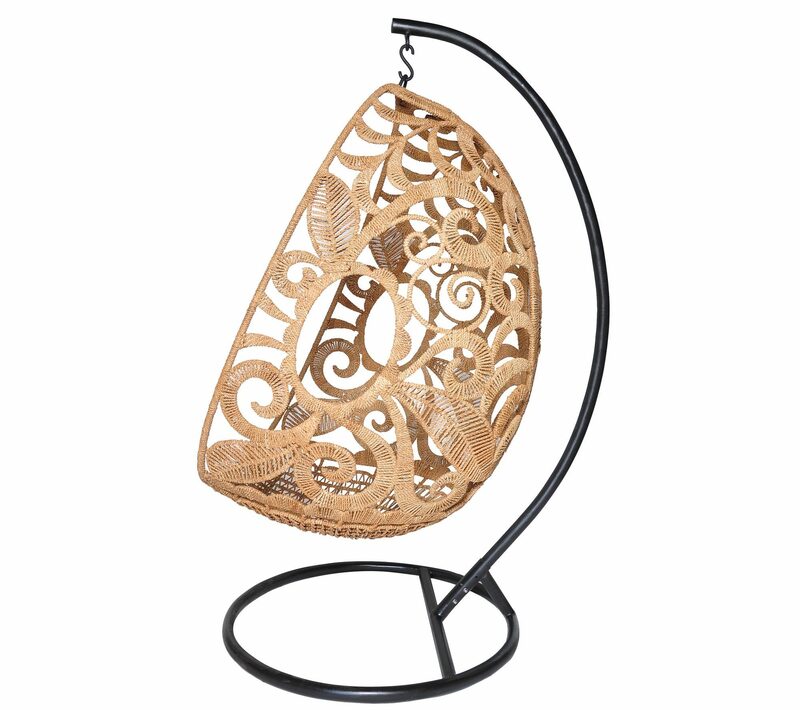 The hardware with heavy duty porch swing hook is included. The oak is harvested from sustainable forests and the rope is a special blend that comes to from Tennessee. While installing the chairs I was able to have a close look at the workmanship and I was very impressed. The manufacturers paid attention to detail and it shows. 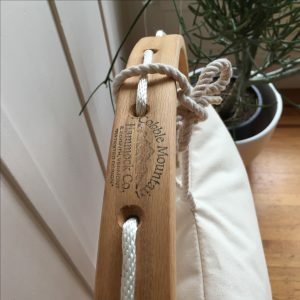 The cotton used for the rope is tough yet still soft and comfortable and the oak wood was smooth. The chairs are coated with a special eco-friendly sealant to make them weather resistant. 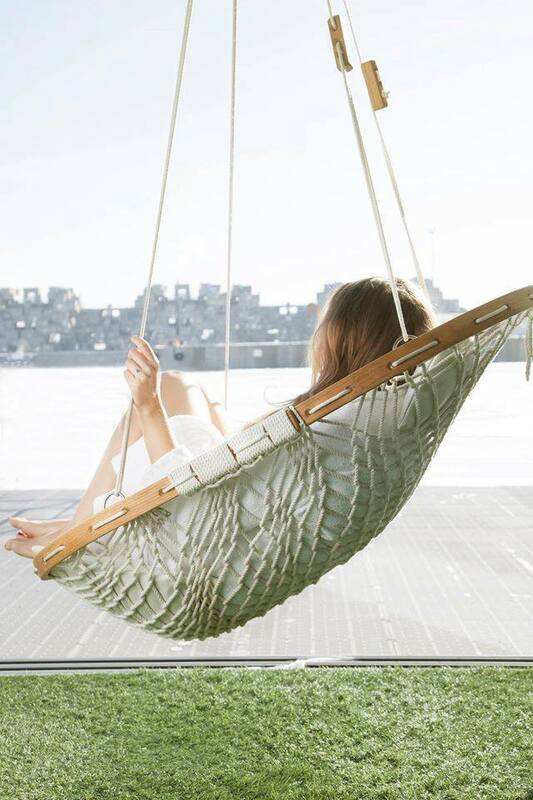 Unlike some other hanging chairs, these ones come with special adjusting blocks so that allow you to easily adjust the height and recline angle. This is well suited to my needs because everyone in my family can relax in a position that is comfortable for them. 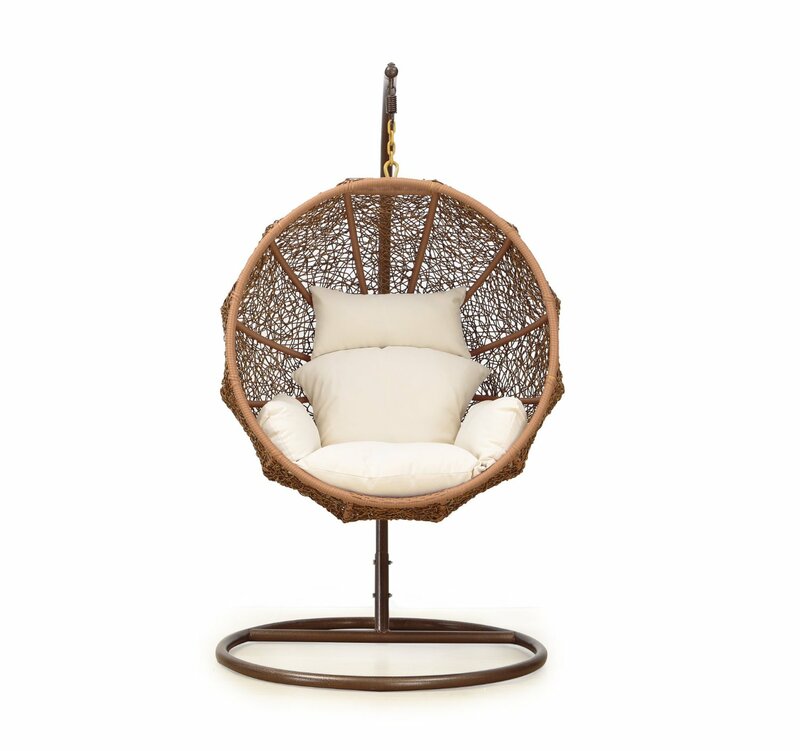 The chairs also come with a stowaway footrest and soft, durable pillows which make them even more luxurious. APPEARANCE: One of the best features of these chairs is appearance. 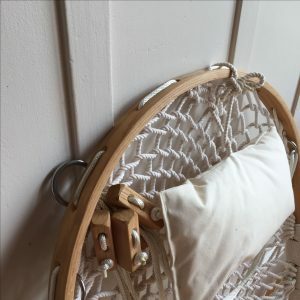 The oak structure and white cotton rope blend in perfectly outside but would look just as attractive hung inside the home. DURABILITY: Safety was at the top of my list when choosing these chairs. The oak structure is of a high quality and because the pieces are steamed into shape the chairs are safe for me and my family. COMFORT: There are two factors that make these chairs so comfortable and they are the adjusting blocks and the footrest. The adjusting blocks are useful because they make it easy to change your position in the chair and the footrest makes relaxing even easier. The chairs each came with head and seat cushions that are thick and soft. We chose the natural cotton fabric, but you can get them in green as well. I made a great decision buying my two Cobble Mountain Bent Oak chairs. The entire experience from ordering to installation was much easier than I expected and the chairs were the perfect choice for my new garden. 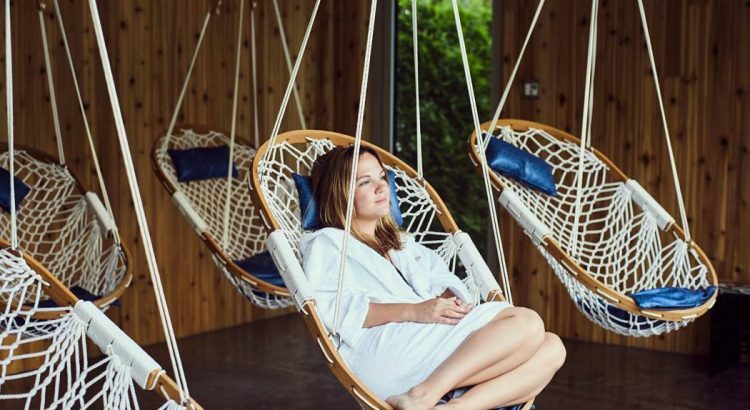 The chairs are high quality and safe, so I don’t need to worry about my family using them and best of all they allow us all to experience the outdoors in comfort and style. In fact, they are so comfortable I might need to order more of them in the future, so every member of my family can each have their own! The chair is made in the USA. I would definitely recommend these chairs to my friends. 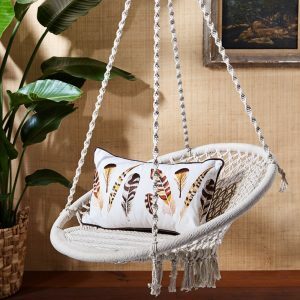 If you are looking for a smaller, more basic type of hanging chair for inside the home you could have a look at the Two’s Company Out of Africa Macrame Hanging Chair. 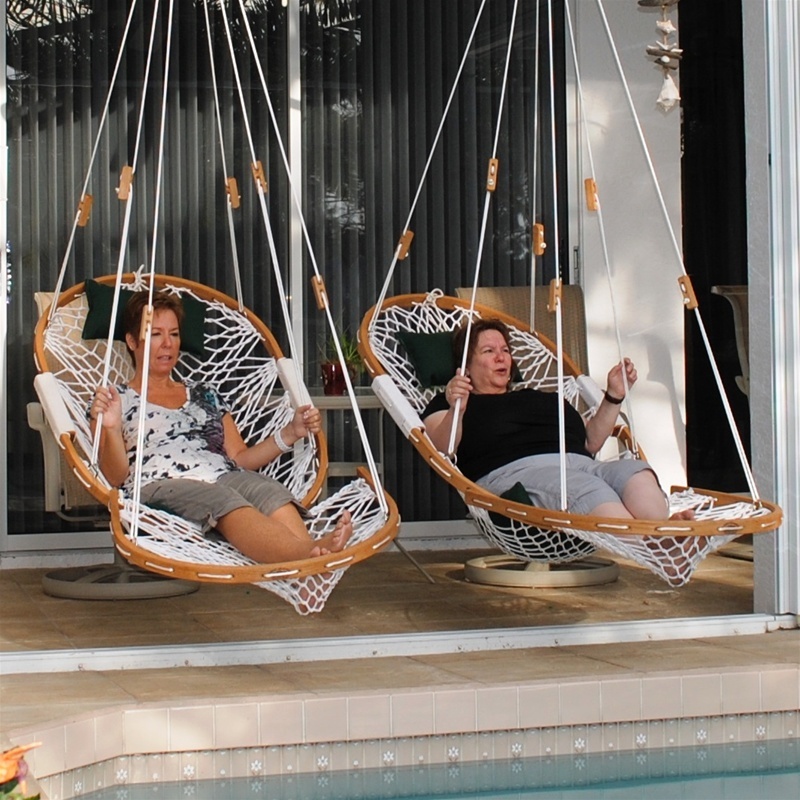 If you want a chair for two people then check out Pawley’s Island Original Polyester Rope Double Swing.